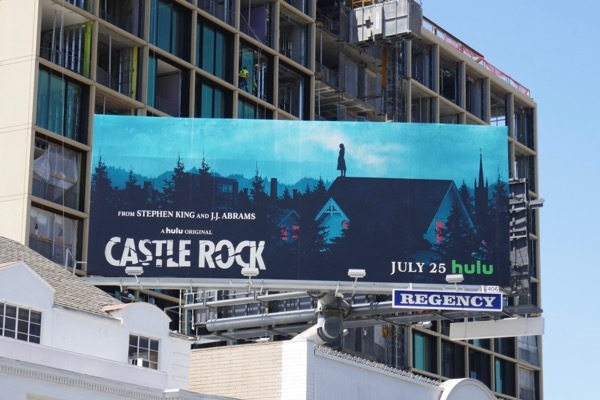 This summer two masters of storytelling collaborate on a new supernatural psychological horror series for the Hulu streaming service as Stephen King and J. J. Abrams bring us Castle Rock. 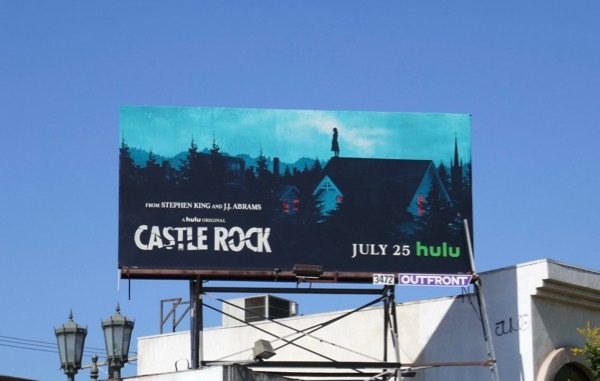 In Stephen King's interconnected literary universe weird and macabre things happen in and around the fictional town of Castle Rock, Maine and its surrounding forests. The creepy series will return to such familiar and scary places as Shawshank State Penitentiary and see even more creations and characters intertwining from King's prolific writing career. 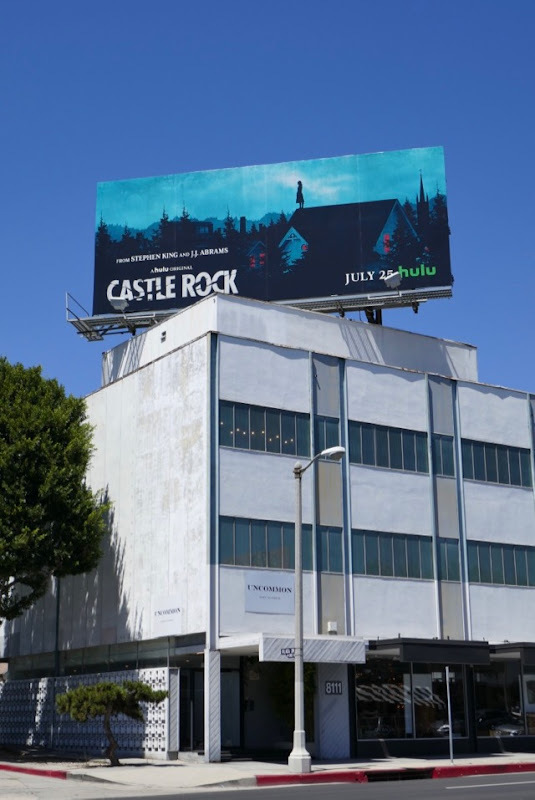 These enigmatic series launch billboards were photographed above the Sunset Strip, Beverly Boulevard and Pico Boulevard from June 25 to July 14, 2018. 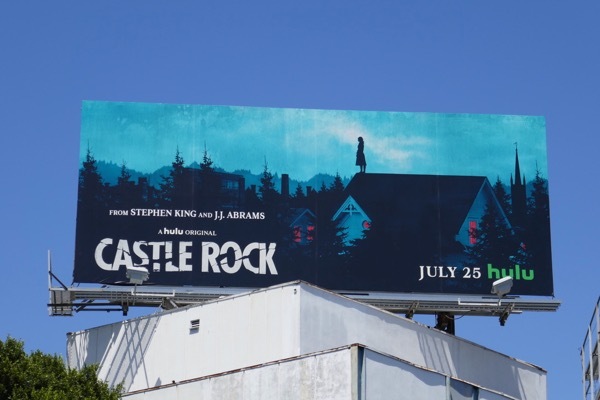 Fans of the best-selling author can also enjoy some of these other Stephen King adaptations, like these Mr. Mercedes TV billboards, these billboards for The Mist TV series, this Under the Dome TV billboard, these billboards for The Dark Tower movie and these IT Movie billboards, to name just a few examples. 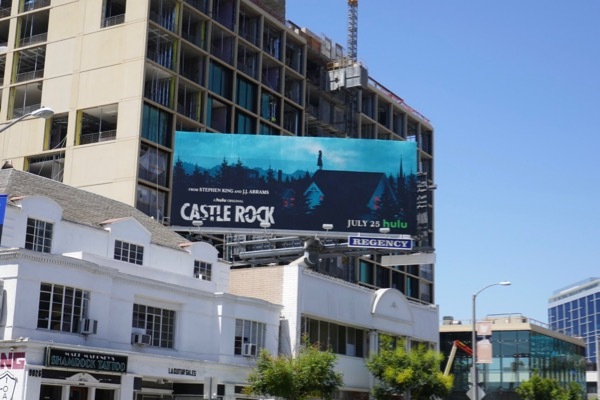 If you're looking to get away from it all and need some scares this season, it looks like you need to take a trip to Castle Rock this summer. 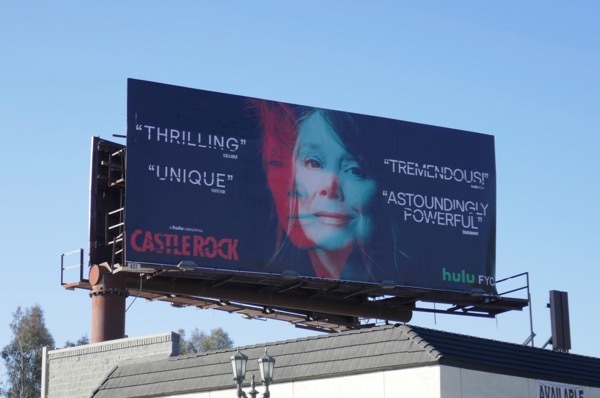 UPDATED: Here's also an awards consideration billboard for Castle Rock with Sissy Spacek in the spotlight. 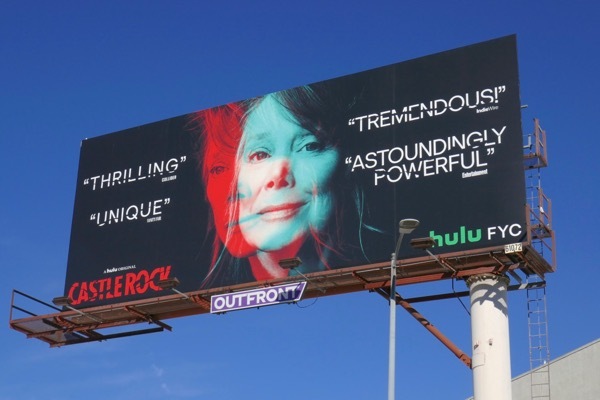 This FYC billboard was snapped at the intersection of Olympic and La Cienega Boulevards on November 23, 2018. Plus here's another ad example which gets direct sunlight at this time of year spotted along Santa Monica Boulevard in West L.A. on November 26, 2018.